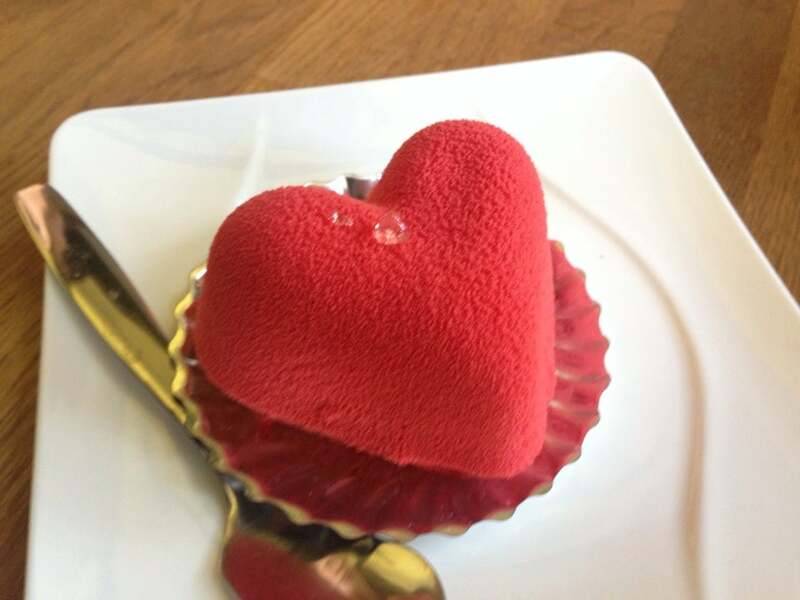 How to get to True Love Café? 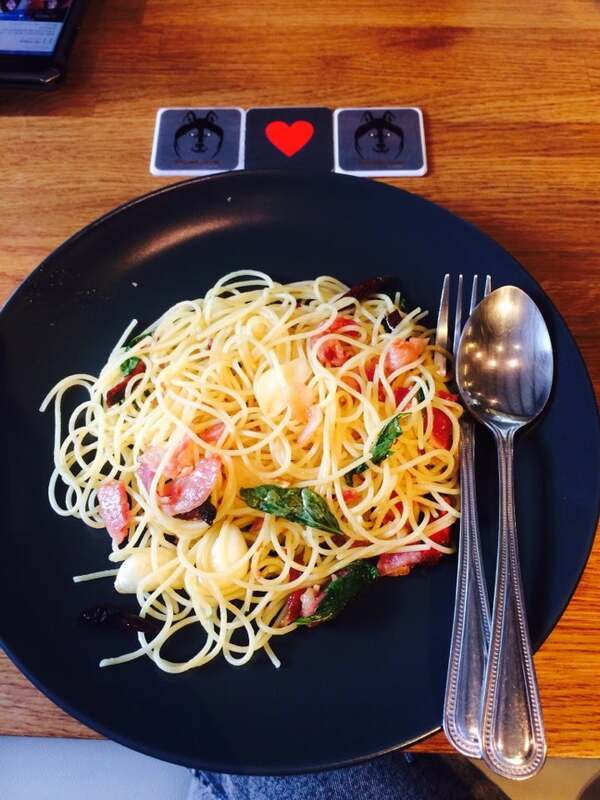 True Love Café is located at 153 Paholyothin Soi Ari Samphan 2. Get off at BTS Sanam Pao then take a taxi from there. You should call the cafe in advance (+66 90 101 9669) to make your reservations and to confirm petting times as this may change. Please take note that they are closed on every Monday. If you want to play with dogs, you have to pay a ticket of 350 THB for one hour (drink and dessert included). It's good idea to arrive more than 40 minutes before the showtime to ensure you get an outside seat. 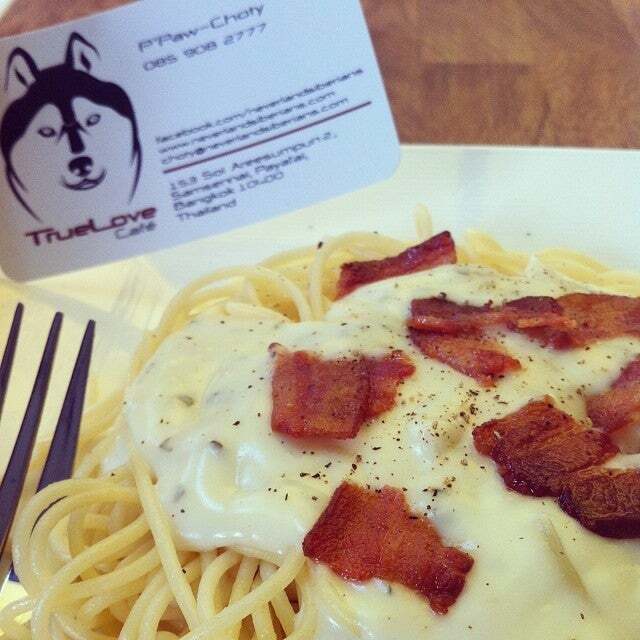 If you are a big time husky lover then you must, by default, swing by True Love Cafe in Bangkok. You are allowed to mingle with them huskies on certain slots of the day but I would recommend the final slot that is at 4-ish ( to be verified in case revised ) for you will be able to witness the swarm ushered back to their homes. 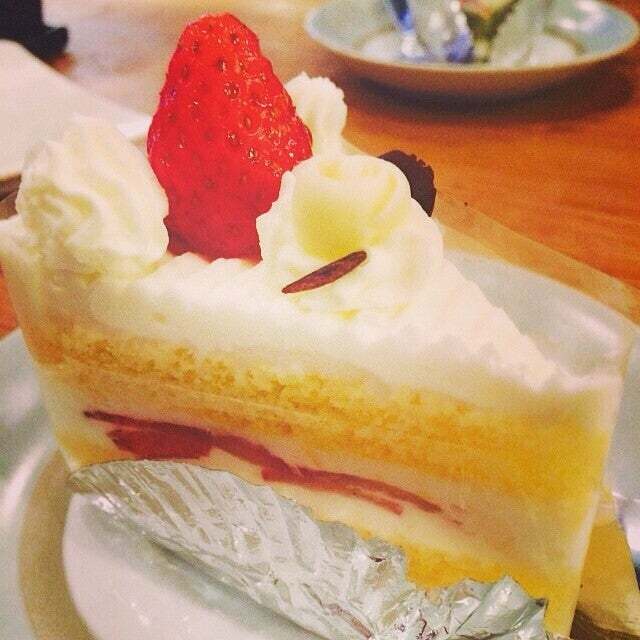 True Love Cafe abides by top notch hygiene practices. 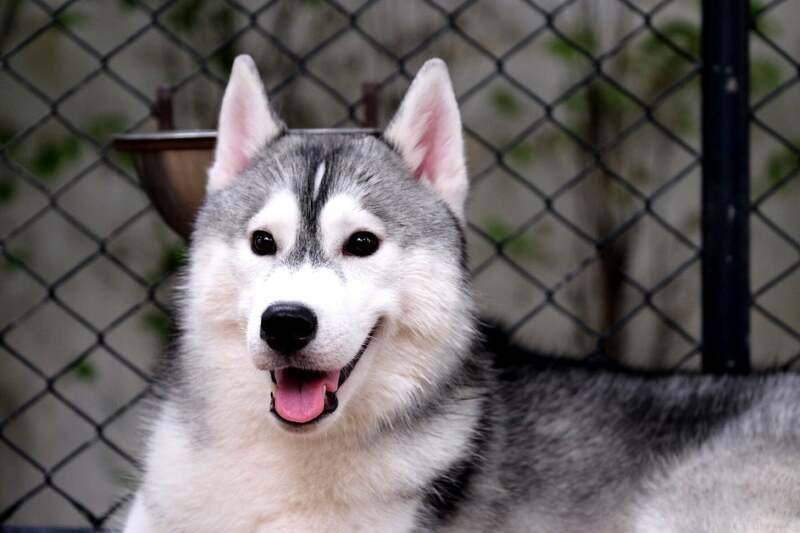 You will be told to wash your hands and put on the provided disposable shoes upon greeting the huskies. Good food, awesome furry friends. What more could you ask for? Getting there is pretty easy. Disembark at Ari BTS station and take a tuk-tuk or a cab to the cafe. It's great because of the huskies and the staff. Other than that, as a venue that serves food, their only vegetarian choice is fries - the menu basically has no healthy choices - veg or non veg.